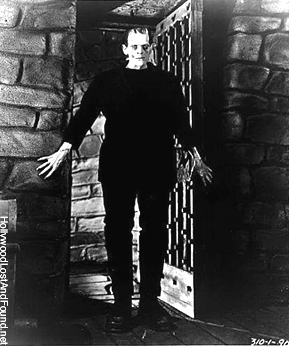 "Frankenstein" (1931) The film that gave us Castle Thunder... not to mention one of the most iconic monsters of all time... Boris Karloff. 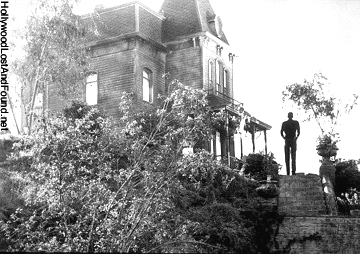 "Psycho" (1960) That house is still on the Universal lot... I saw Angela Lansbury trying to paint it once. "Dracula" (1931) "The bathroom is that way." 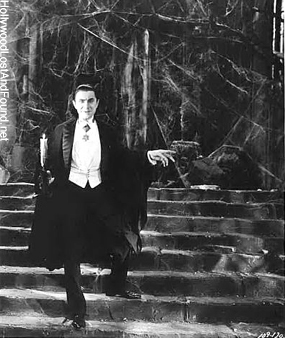 Bela Lugosi in another of the most iconic monsters roles of all time. 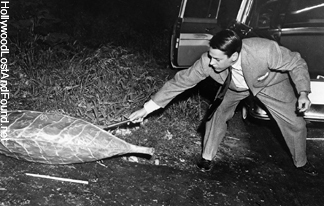 "Invasion of the Body Snatchers" (1956) "They're here already! You're next!" 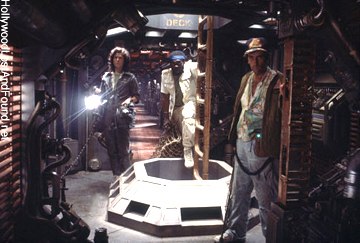 "Alien" (1979) Don't look for the cat. 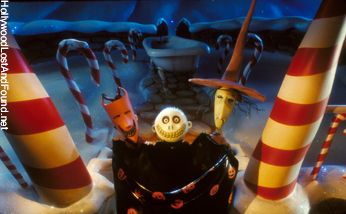 "The Nightmare Before Christmas" (1993) ...Even more brilliant in 3D. 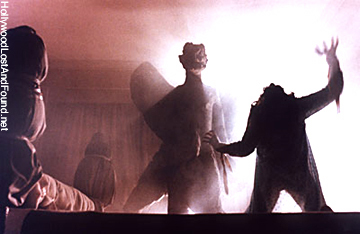 "The Exorcist" (1973) "Demonic possession" is a great excuse to get out of school. You might need a note from your priest, though. Though it went through a digital intermediate to desaturate the color, one of the few films for which this approach works, FLAGS OF OUR FATHERS is a textbook example of the proper use of wide screen in general, and anamorphic in particular, to enhance the audience's experience of watching the film in a theater. Eastwood, the late legendary production designer Henry Bumstead, cinematographer Tom Stern, and editor Joel Cox are all masters at this, even on the intimate scale of films like MYSTIC RIVER and MILLION DOLLAR BABY and FLAGS is an adroit mixture of the intimate and the spectacular. In fact, that's the point of the picture, contrasting the reality of war with PR needs back home and the reactions of soldiers taken from the former and thrust into the latter. Eastwood is one of the few directors working today who understands the importance of visual storytelling to a medium like film, and his collaborators have served him well, as usual. It's probably the year's best film and well worth the effort of going out to see on a really big, wide screen. I just noticed that the Laemmles have given up the Fairfax to a company called Regency, which have turned it into the Westside's most needed second bargain house, charging only $3 as compared the Vine on Hollywood Blvd. 's $7. In light of the public comments last year that their main reason for decreasing theatrical attendance was the high cost of doing so, this theater in this location should be watched to see to what degree people are still willing to wait a month or two to see a film on the big screen at a lower price. Anecdotal evidence suggests that prior to 1980 more Americans saw movies subrun, i.e. in neighborhood or grind houses or at drive-ins than in their first run release. Because attendance figures have traditionally been founded on boxoffice figures, and most subrun situations were flat rentals, one set price, sometimes as low as $5 as late as the mid-Sixties, there is no accurate record of attendance at these theaters, but there is evidence of their cultural influence in the number of films from the Fifties and Sixties which are part of our collective pop culture though they don't appear on any list of annual top grossing films. Subrun exhibition was essentially ended by the increasing popularity of wide first run releases, which United Artists had first experimented with the New York area in the summer of 1956, followed by a wider, most successful experiment by that company and 20th Century-Fox in 1961. In it, rather than opening a film in one downtown theater, it would open concurrently in 25 or so neighborhood houses around the area. Though initially prices weren't raised that much and there were increased charges in getting prints to theaters, the approach sufficiently increased first run income as to become increasingly popular over the next 15 years. The ability to make prints faster from an internegative rather than off the original increased the number of areas in which this could be done concurrently, and the successful release of JAWS by this method in 1975 pretty much killed single situation first run engagements. Over the next five years many neighborhood houses would be turned into first run houses, or closed. And this was before home video seriously impacted moviegoing. 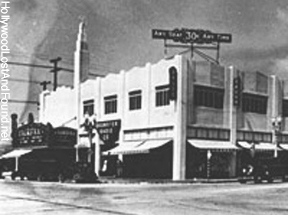 The Fairfax, like the Gordon, Oriental, and Pan-Pacific, where neighborhood houses in the Hollywood area that go back at least to the Thirties (it can be seen in the background of the football field sequence in the 1935 Three Stooges short, THREE LITTLE PIGSKINS), all of which were reportedly successful in the Seventies and early Eighties, according to people who'd worked in them (not the reportedly late and unlamented Louis Federici). Much of the audience was composed of the twentysomethings who lived within walking distance of the theaters, plus there was usually adjacent free parking. This is no doubt what attracted Odious Cineplex into buying or leasing the Fairfax and Gordon in the mid-Eighties and, naturally, plexing the former and turning it into the Showcase (how the latter escaped plexing is probably one of their rare, but fortunate, lapses). The Oriental and Pan-Pacific were closed and torn down because the property owners wanted to put the land or buildings to other uses, the same fate that befell the infamous World Theater on Hollywood Blvd. in 1985; I was told at the time by someone in Robert W. Selig's office at Pacific Theaters that had they would never have closed the theater as it was one of their most profitable; the last time I drove by the spot it was a hole in the ground. Though the side streets around the Fairfax have "Preferential Parking", some space can still be found after 6 on Beverly and on Fairfax, so there is a chance this theater can make it through with its bargain policy, attracting not the better heeled neighbors who have all the latest home theater gadgets, but the remaining 20-60 year olds who either can't afford these things or cannot fit them into their tiny apartments who would still like to see movies on the big screen but can't afford the Arclight or the Grove, especially on a regular basis. Less affluent people in outlying areas of L.A. still do this, but until now this option has been denied those who live closer to the center of the industry. A study of the relative success of this theater, and also of the popularity of the various films, could actually be a greater guide to the future direction of theatrical production. As was pointed out last year, audiences stayed away from many films that had high expectations because they didn't think they were worth $10-20. Are they worth $3 or should they have been sent straight to video, or not made at all? Star Trek Auction: "THIS BELONGS IN A MUSEUM!" 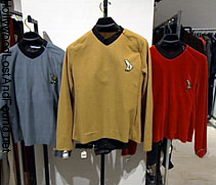 Today (5 October 2006), in New York, Christie's begins the biggest auction of authentic "Star Trek" memorabilia ever seen. Models, costumes and props from the science fiction franchise's television shows and movies - some 4,000 items from the Paramount warehouses will be sold. All these items have been on display for the last several days at Christie's Rockefeller Center headquarters. Although I appreciate these rare opportunities the fans are given to purchase authentic pieces from their favorite shows, it saddens me that many of the items will wind up in private collections - never to be seen again by the general public. I keep hearing the voice of Indiana Jones in the back of my head screaming "THIS BELONGS IN A MUSEUM!" while an artifact is taken away as he watches helplessly. 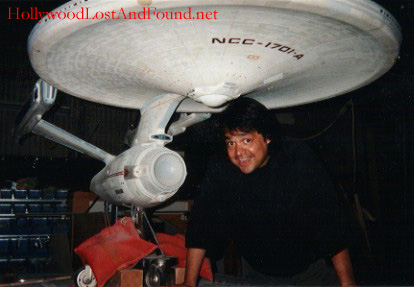 Especially heartbreaking for me is the sale of the original model of the USS Enterprise created for "Star Trek: The Motion Picture." That ship and I go way back. 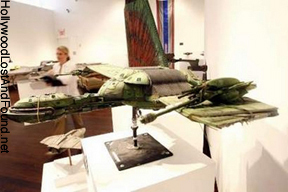 These items used to be available for special exhibits and as reference for various Star Trek related projects. But their sale says that not only are there not enough Star Trek projects coming up to warrant their storage, but that Paramount doesn't even see the need to preserve their history anymore. What an interesting way to commemorate Star Trek's 40th Anniversary. Hopefully the collectors who come away with the more important items in this auction will see their way to donating them - or at least loaning them - to exhibits in the future.